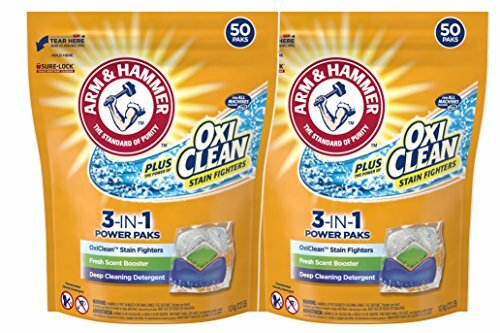 Save $3 off Arm & Hammer Plus OxiClean HE Liquid Laundry Detergent Easy-Pour Pouch, Pack of three 50 oz. pouches, 84 total loads. Amazon will apply the discount at checkout. 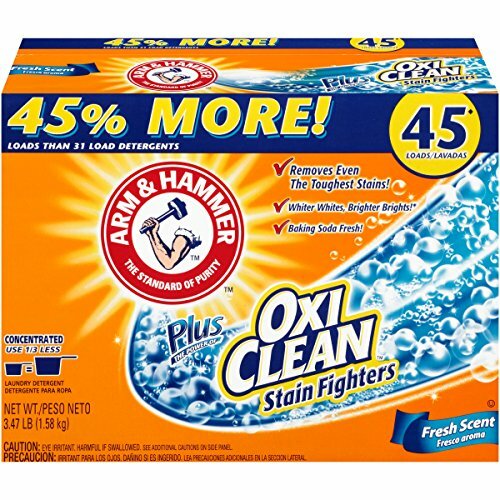 Save $2.5 off Arm & Hammer Plus OxiClean HE 3-in-1 Laundry Power Paks, 50 Count. Amazon will apply the discount at checkout. 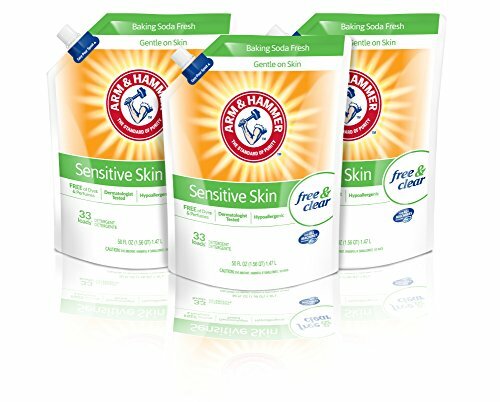 Save $3 off Arm & Hammer Sensitive Skin Perfume and Dye Free He Liquid Laundry Detergent 3 Piece Easy-Pour Pouch. Amazon applies the discount at checkout. 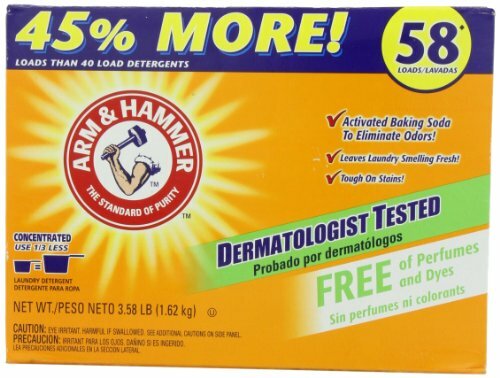 Arm & Hammer 33200-00008 Laundry Detergent Perfume/Dye Free, Liquid, 5 gal, 640 fl. oz. This month, Walmart also has some excellent coupons on Arm & Hammer Detergent. 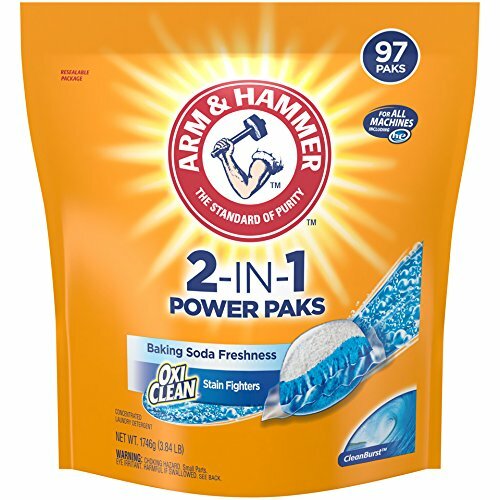 Here’s the latest Arm and Hammer laundry detergent coupons at coupons.com. For some ridiculous reason, coupons.com shows the coupon via adobe flash player. Very annoying–but it’s a decent Arm and Hammer detergent coupon nonetheless. Target has some excellent deals on a bunch of Arm and Hammer detergent products. Target will give you a $5.00 gift card when you buy two Arm and Hammer detergent products using the Target order pickup service. 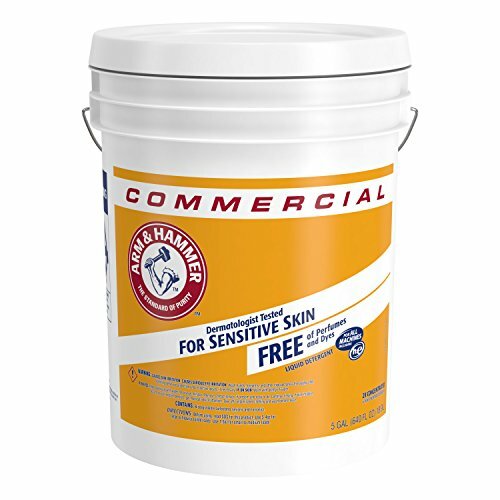 Since there are so many deals, I’ve simply included the link to the Arm and Hammer page on Target.com. Once there, you’ll see all the deals in one easy location. 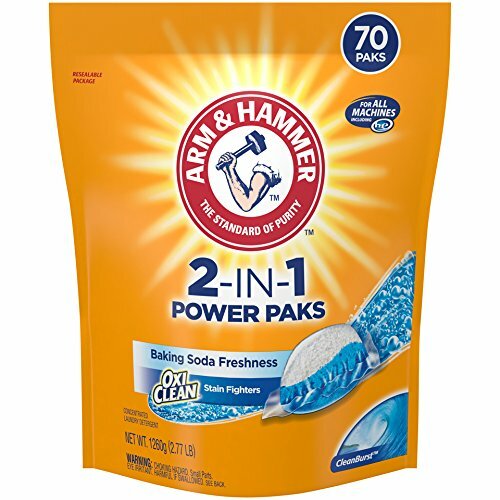 When it comes to cleaning products, one of the brands that quickly come to mind is Arm & Hammer. This isn’t really surprising since the company was introduced in 1867 and has been in the market for 150 years. Its history, coupled with its highly effective products, have made Arm & Hammer one of the most trusted and well-known companies in the U.S. The brand was initially associated with baking soda and washing soda. But, over the years the company has developed many more household cleaning products. These include fabric care products like laundry detergents. 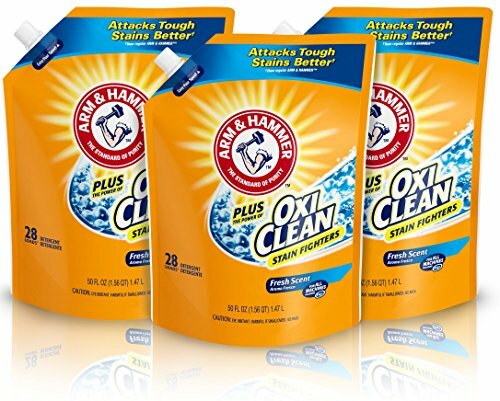 Arm & Hammer offers powder laundry detergent that comes in several different scents. It also has a variant that’s compatible with HE washing machines as well as one that’s free of dyes and perfumes. The company also produces liquid laundry detergents and Power Pak laundry detergents that can be simply tossed in the wash, along with in-wash scent boosters and fabric softener sheets. Below are the latest Arm & Hammer detergent coupons that we’ve collected. This entry was posted in Arm and Hammer. Bookmark the permalink. Can you show me how you came up with this? I am unable to print coupons and was wondering if i could receive them by mail. Thank you!